I’m really excited to introduce a new organisation to the Fair Education Alliance: Ambition Institute. We brought together Ambition School Leadership – a long-standing member of the FEA – and the Institute for Teaching back in September 2018, forming a new organisation dedicated to helping educators serving children from disadvantaged backgrounds to keep getting better. I am so proud to be leading this brand new organisation and I’m excited to start addressing the biggest challenge (and opportunity) in the sector: educator development. The school community has played an important part in the development of Ambition Institute and their insight into what they want when developing teachers and leaders has been invaluable. We’ve listened to their needs, reflected on our own experience from years of educator development, and drawn on the best evidence to make sure that our organisation can have the impact we need it to have. That’s why we created a graduate school for teachers, school leaders and system leaders. We are combining the academic rigour of a traditional university with the essential classroom connection of a teaching school, all underpinned by the social purpose of a charity. And this social purpose – our mission and vision – is the bedrock on which Ambition Institute has been built. In common with every member of the FEA, we want an education system where every child can thrive, no matter what their background. Our own programmes are our principal route to delivering this – supporting educators at every level to keep getting better – but our membership of the FEA is also crucial. By working in partnership with like-minded charities, businesses and government bodies, we can reach our goal sooner. That’s why we’re proud to be leading on one of the FEA’s priorities for this year: world class teachers and transformative leaders for all UK schools, particularly in the most disadvantaged areas. We know that recruiting and retaining great teachers and leaders is huge challenge for schools, especially those in challenging contexts. Educator development is the key lever to addressing this. The Department for Education’s Recruitment and Retention Strategy adopted this approach this with the introduction of the early career framework; directly responding to the high attrition rates of teachers in the first five years of their careers with more strategic support and development to keep them in the classroom – and to keep getting better. As a coalition, we can help to mobilise the reforms in the DfE’s strategy, and take them further; reaching into our extensive networks of frontline educators to support the development of a world-class teaching workforce. This is no mean feat in the current climate. I have spoken about the need for development providers to recognise the tough budget decisions school leaders need to make every day. CPD and investment in staff, including their wellbeing, can be the first casualty of this financial climate. I believe one important role this coalition can play is to build the business case for educator development, giving schools the evidence they need to protect, and prioritise, funding for continually developing their staff. We can also use our collective voice to influence the quality standards of development provision: using our view across the sector to identify the programmes and providers which evidence the greatest impact on pupil outcomes, and signposting these to schools in our networks. Finally, we can use our reach to fly the flag for educator development, and celebrate the schools and systems which are leading the way in this area to the benefit of the pupils they serve. Schools that prioritise professional development are beacons for educators at all levels, attracting and retaining talented teachers and leaders who are passionate about giving pupils the best. We need to make sure that these beacons can be found across the country, in all communities, reaching pupils from all backgrounds. This is what Ambition Institute has set out to achieve, and it is a goal we will reach more quickly in coalition with our fellow FEA members. Melanie Renowden is Interim CEO of Ambition Institute. She has worked for nearly 25 years in education in the public and voluntary sectors. Before joining Ambition in 2011, she was Education Director at Business in the Community and Head of ‘Science Year’, a DfE STEM programme for schools. 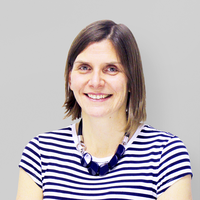 She is a former trustee of Teach First and is currently trustee of a primary multi academy trust.